Casual Hiking Socks - 2 Pairs Only $5.99! Ships FREE! You are here: Home / Great Deals / Casual Hiking Socks – 2 Pairs Only $5.99! Ships FREE! Casual Hiking Socks – 2 Pairs Only $5.99! Ships FREE! 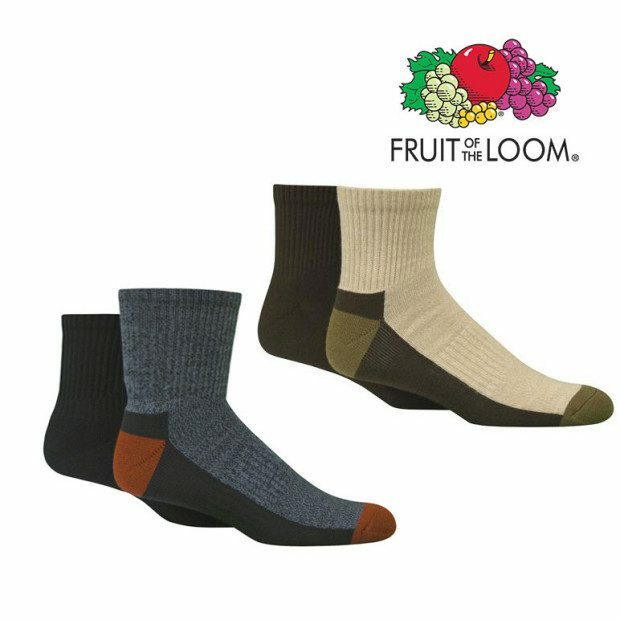 Order these Fruit of the Loom Casual Hiking Socks – 2 Pairs for Only $5.99! Ships FREE! Finally, a manly sock for manly men! Fruit of the Loom Men’s Outdoor Casuals provide a loftier cushioned sole for shock absorption and comfort. An added arch support keeps the sock in perfect position on the foot while spandex throughout provides a contoured fit.